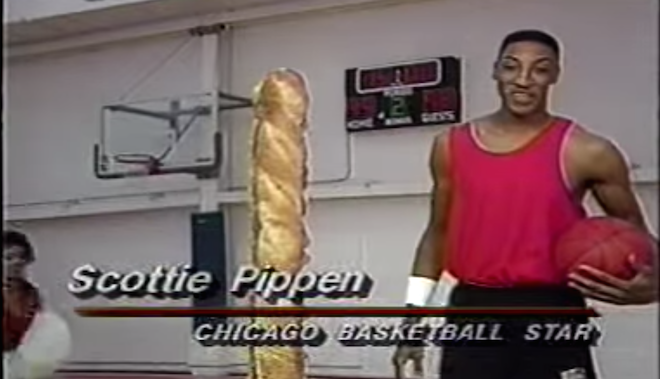 It also led to people talking about it on Twitter, and this old Scottie Pippen Mr. Submarine commercial. “This is a six-footer I can’t handle one-on-one. Ladies, let’s have a party,” is a line I’d have laughed about a lot more were I not only 10 years old at the time. Thankfully I can chuckle about it to myself now, because I’ve matured a lot since then. This entry was posted in Chicago Bulls and tagged Charles Barkley, James Harden, Scottie Pippen, Video by Tom Fornelli. Bookmark the permalink.